The decision to add a permanent piece of artwork to the body isn't a decision to be made lightly. Getting a tattoo is not only an investment in cost but in something you hope to be a beautiful and permanent part of your physique. Therefore the aftercare for a new tattoo to heal properly and maintain the bright colors is important. Amazed and a bit confused at all the different opinions out there on the correct procedure for caring for a fresh tattoo, I can only conclude that it is best to keep in mind the objectives, use your own common sense and take the advice of your tattoo artist (hopefully your artist is reputable, licensed and has good references). A good source I used came from a blog post from A Geek Saga. Once you carefully remove the bandage, wash the tattoo using only your hands, not a washcloth that could be too abrasive, and to never use liquid soap, only an anti-bacterial bar soap. Blot it dry gently and once dry apply a thin layer of your salve or lotion, not thick since you need the tattoo to breathe. After the first day wash the tattoo at least twice a day and reapply the salve or lotion. As soon as the tattoo starts peeling only wash it once a day and discontinue the salve or lotion. Don't rub, don't scratch, don't pick. Avoid saunas, pools, tanning and direct sunlight for at least 2 - 4 weeks till the tattoo is completely healed. How long to continue applying the moisturizing lotion or salve seems to be the biggest disagreement among those offering advice. Some say to keep the tattoo moisturized till healed and others say differently to allow the area to breathe. For yourself, just listen to your tattoo artist. 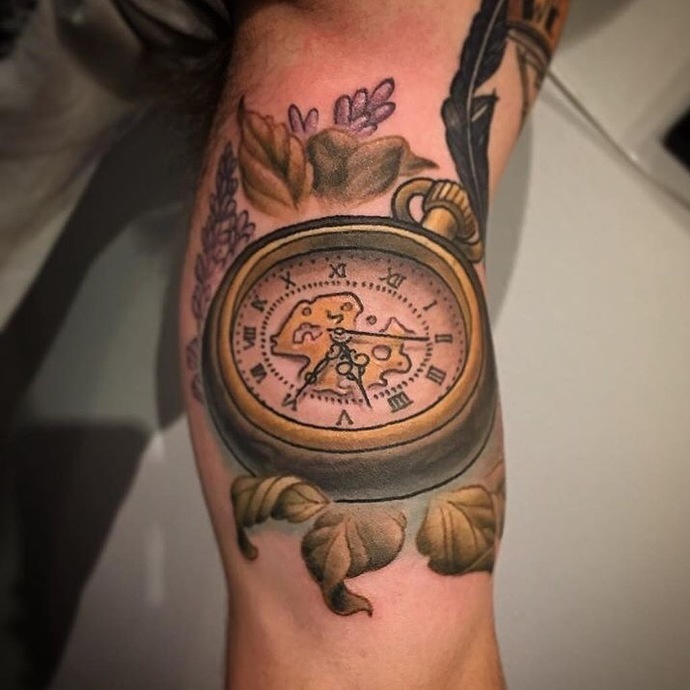 Applying ink means the skin has been opened, therefore a fresh tattoo needs to be treated as a wound vulnerable to bacteria, so the main goal is to prevent infection. Infections can increase excessive scabbing, scarring and irregular healing which can mess up the tattoo. The base for our salve is a blend of herbal infused oils using plants that offer anti-bacterial, analgesic and anti-inflammatory properties. We chose St. Johnswort, Calendula, Comfrey and Chamomile and used olive oil for the infusion. Olive oil penetrates deep into the skin while allowing air flow for the tattoo to breathe. Calendula is often found in healing salves because it promotes healthy cell growth and healing. This plant is actually called the "wound herb". Comfrey is called "a living medicine chest" and known as the plant that can join back together what has come apart. Chamomile is used in many balms and salves to help with inflammation, itch and just calming things down. St. Johnswort is found in burn salves and recommended for issues where the nerves are involved. This plant acts as a pain reliever and heals damaged nerve endings. So many products on the market used for tattoos contain petroleum or mineral oil. Though commonly used for years, getting away from petrols is something you should seriously consider. Highly recommended for soothing, moisturizing and protecting the skin is unrefined shea butter. It is loaded in essential fatty acids, antioxidants A and E and also offers mild SPF protection. This area was confusing as well. Some sources believe that since butters such as shea butter, coconut oil or cocoa butter act as a barrier to the elements for skin protection, they could also suffocate healing skin. Then other sources view shea butter as the ultimate moisturizer and aids in healthy healing as long as you don't smother the tattoo by using way too much. Only a pea size, thin layer amount of salve is needed at a time. Some sources viewed the use of beeswax with the same opinion concerning the issue of suffocating the skin. But other sources say no to that since beeswax does not clog pores, (then again neither does shea butter), and beeswax has natural antibacterial benefits from the hive. So, included are both shea butter and beeswax. Lavender essential oil is one of the only essential oils mild enough to use on open skin without causing irritation. 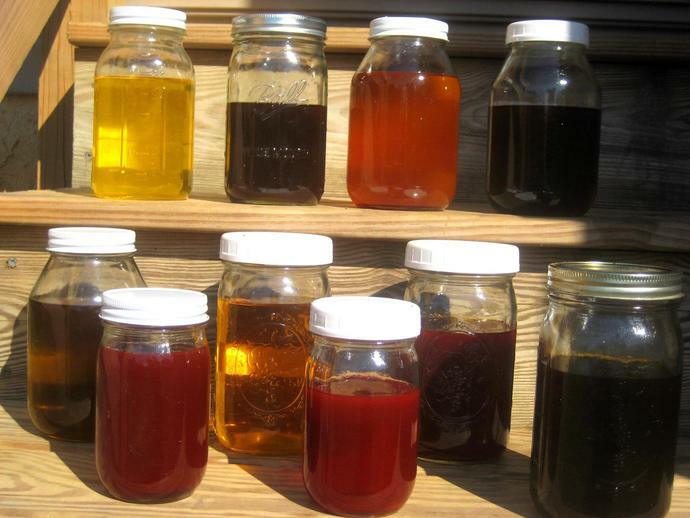 This plant can be used for so many things that it is called "a medicine in a bottle". It covers the bases of being antibacterial, antiseptic and reduces itch and swelling. Those properties are why this essential oil is a main part of our burn salve. Moisture without suffocation and infection prevention, those are your goals. 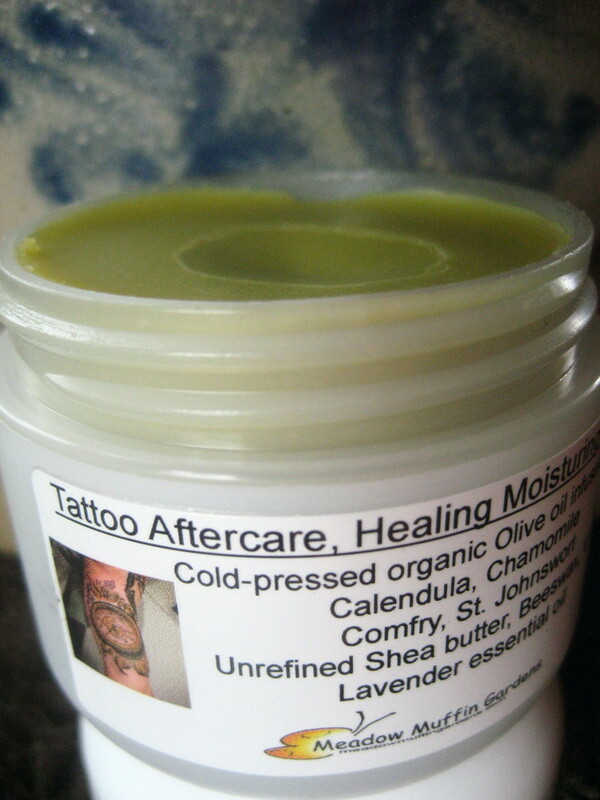 Keep your tattoo clean, use only clean hands to touch, don't scratch and don't overdo it with the salve. Listen to your tattoo artist's advice and you should end up with a beautiful piece of body art you can be proud of.